Here is something special. 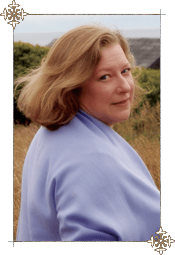 The publisher for debut novelist Deborah Harkness sent me a copy of a letter from Deborah along with a Q&A about her novel – both of which are printed below by permission of Viking. 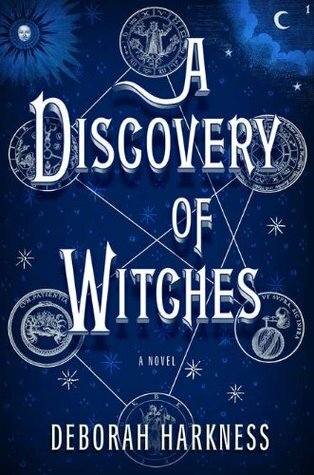 While these pieces weren’t created especially for UNDERWORDS, they do an excellent job of introducing Deborah Harkness and her new debut novel A Discovery of Witches. Since I enjoyed Deborah’s letter and her Q&A so much, I wanted to share them with you. Plus, Viking sent me a copy of A Discovery of Witches to giveaway to one lucky UNDERWORDS reader. Read below to find out how you can win! I wish you all good luck and good reading. If it’s magic you need this winter, I hope that you find some in A Discovery of Witches. Q: A DISCOVERY OF WITCHES begins with the protagonist Diana Bishop stumbling across a lost, enchanted manuscript called Ashmole 782 in Oxford’s Bodleian Library. You had a similar experience while you were completing your dissertation. What was the story behind your discovery? And how did it inspire the creation of this novel? A. I did discover a manuscript—not an enchanted one, alas—in the Bodleian Library. It was a manuscript owned by Queen Elizabeth’s astrologer, a mathematician and alchemist named John Dee. In the 1570s and 1580s he became interested in using a crystal ball to talk to angels. In those conversations, he asked the angels about a mysterious book in his library called “the Book of Soyga” or “Aldaraia.” No one had ever been able to find it, even though many of Dee’s other books survive in libraries throughout the world. In the summer of 1994 I was spending time in Oxford between finishing my doctorate and starting my first job. It was a wonderfully creative time, since I had no deadlines to worry about and my dissertation on Dee’s angel conversations was complete. As with most discoveries, this discovery of a “lost” manuscript was entirely accidental. I was looking for something else in the Bodleian’s catalogue and in the upper corner of the page was a reference to a book called “Aldaraia.” I knew it couldn’t be Dee’s book, but I called it up anyway. And it turned out it WAS the book (or at least a copy of it). With the help of the Bodleian’s Keeper of Rare Books, I located another copy in the British Library. A. Absolutely! Entire books have been written about famous lost volumes—including works by Plato, Aristotle, and Shakespeare to name just a few. Libraries are full of such treasures, some of them unrecognized and others simply misfiled or mislabeled. And we find lost books outside of libraries, too. In January 2006, a completely unknown manuscript belonging to onne of the 17th century’s most prominent scientists, Robert Hooke, was discovered when someone was having the contents of their house valued for auction. The manuscript included minutes of early Royal Society meetings that we presumed were lost forever. Q: This is your debut novel, but you’ve written previous books about science in Elizabethan England and have received numerous awards and fellowships for your work in the field of history. Was it difficult to transition from writing scholarly nonfiction to work of fiction? How did your background as a historian find its way into A DISCOVERY OF WITCHES? A. It was a challenge in some ways, but I’ve never been happier than when writing A DISCOVERY OF WITCHES. The challenge for a historian, especially when covering subjects we know a lot about, is to remember to keep the story and the characters front and center. In my historical work, I’m expected to include everything I know about a given subject down to the last detail. In a work of fiction, you can lose the plot pretty quickly if you take this approach. That said, I couldn’t shut off my historian’s voice completely, and the twenty-five years I’ve spent researching and teaching the history of science certainly informed what I wrote and the stories I could tell about magic, alchemy, and evolution. Being steeped in the literature of alchemy was crucial to the story of Ashmole 782 and why Diana and Matthew would be interested in its discovery. A. There are a lot of adults reading children’s fantasy books, and for good reason. Children’s’ authors and Young Adult authors are writing original, compelling stories that can make even the most cynical grownups believe in magic. In writing A DISCOVERY OF WITCHES, I wanted to give adult readers a world no less magical, no less surprising and delightful, but one that included grown-up concerns and activities. These are not your children’s vampires and witches. Q: A DISCOVERY OF WITCHES is set in the winding lanes of Oxford, a gargantuan castle in the south of France and a creaky old house with “a mind of its own” in upstate New York. Were all of these places inspired by locations in your own life? A. With the exception of the castle, the locations are all known to me. I spent many happy years in Oxford as a graduate student researching my dissertation and rowing on the river. It’s a special city, one that makes a deep impression on most people. As for the creaky old house in upstate New York, I owned a similar house. It was not quite as old, but it definitely had its own personality, ancient floorboards, a drafty staircase, and all the other perfect elements of a house in a ghost story. Q: The world that Matthew and Diana inhabit contains more than just vampires and witches. What is the third category of supernatural creature? And what figures from history might have belonged to their ranks? A. When I began A DISCOVERY OF WITCHES I wanted to create a whole world with its own logic and order. Vampires and witches can’t be the only strange creatures sharing the world with humans. I drew on Greek mythology for inspiration, and added daemons into the mix. Daemons were believed to be half-mortal and half-divine creatures who guided humans, much like the Roman genius. They were thought to be emotionally volatile and creative, and prone to torment and deception. Like vampires and witches, daemons are “creatures between,” and as time passed they became associated more with evil than protection and divine knowledge. Historically speaking, I imagine that the ranks of daemons included all the passionate, tormented, unusual misfits who created great works of art and literature and caused trouble while they did so. Mozart and Michelangelo come immediately to mind. Q: You are an established, award-winning wine blogger, so it’s no surprise that your leading vampire is a wine aficionado. What wines would you suggest readers savor while reading A DISCOVERY OF WITCHES? A. A hearty red wine from the Rhône. It’s what all the vampires are drinking! Q: This is the first book in a trilogy. Can you give us a hint as to what happens next? A. Readers of the next book can expect to find more history and alchemy in the next book. There will be some familiar places and faces, but there will also be new friends (and enemies) as their journey unfolds. Most importantly, Diana and Matthew will really get to know each other as the story continues. They are still relative strangers when A DISCOVERY OF WITCHES comes to its end–and vampires are secretive creatures. Giveaway ends March 20, 2011. This entry was posted in Books and Literature, Fantasy, Signal Boost, Uncategorized and tagged A Discovery of Witches, Deborah Harkness. Bookmark the permalink. What’s funny is that the publisher sent me this book to giveaway and after putting up this post, reading the book blurb, and holding this beautiful book in my hands….. I really want to read. 🙂 …. I have just added it to my Kindle.